The Beano is Britain’s longest running comic and celebrated its 80th birthday on 30th July 2018. So a slightly belated happy birthday. 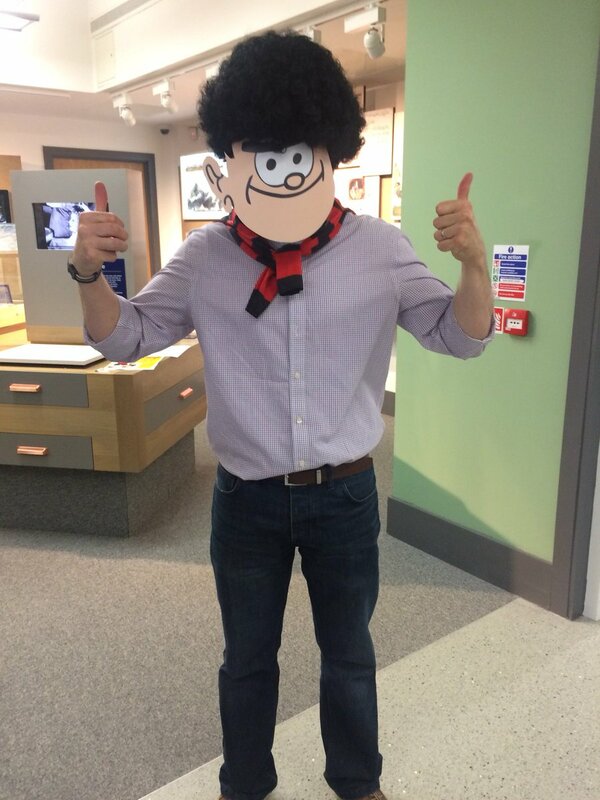 We did though throw a party for the Beano at our Kelvin Hall premises in Glasgow on Saturday the 28th of July. 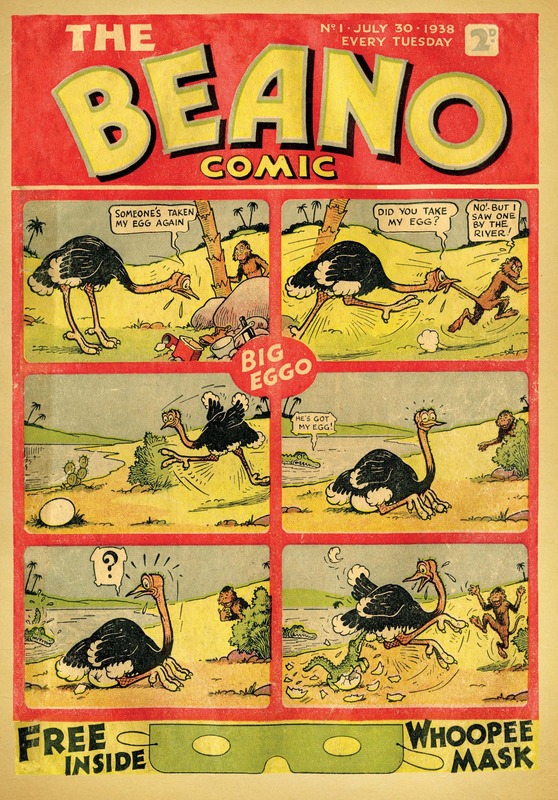 We showed for one day only our copy of Beano issue no.1 alongside some Beano artwork lent to us by our friends at the D C Thomson archive and some other special Beano items from our collections. We did not have to do any baking for our party but we did send out invitations. As this was a free public event our media team made sure the public knew they were invited by using our twitter and Facebook accounts and by sending out a press release which resulted in coverage by newspapers, Radio Scotland and even an interview on STV’s evening news bulletin on the 28th of July. Displaying around twenty Beano items from our collections plus three pieces of original Beano artwork on loan from D C Thomson for six hours sounds relatively easy but it involved a lot of work. First our curators had to decide what to display and write labels. Our exhibition and conservation teams had to check and mount the items. We had to visit D C Thomson in Dundee where David their very helpful and knowledgeable archivist showed us a selection of Beano artwork. Conservation and exhibition staff had to visit D C Thomson and write condition reports on the loan items and transport them back to Edinburgh and our Loans Registrar was kept busy with all the paperwork required. The Library reprographics team designed and printed posters and leaflets for the event. We have a mobile listening post so we can let people hear oral history and music recordings and our Sound Collections Curator had to replace accounts of life in Scotland’s new towns with various fart noises supplied by Beano Studios in preparation for the event. Our colleagues at Glasgow Life with whom we share Kelvin Hall had to plan party games for the day. The Library’s printed collections are mainly stored in Edinburgh so the material had to be transported through to Kelvin Hall along with four large museum style display cases. Bright and early on the morning of the event our Kelvin Hall staff let the Library’s exhibition team into our Glasgow premises. It then took an hour and a half to set up the display, check the fart machine and make other preparations. At ten our Kelvin Hall staff; many dressed up in red and black striped tops; opened the doors and welcomed our first visitors. We had no idea how many people would turn up but we were delighted as a steady flow of people came into the Library. Children, parents and grandparents who all were or had been Beano readers. Comic fans who came to see the iconic first issue as well as original artwork by Leo Baxendale, David Law and David Sutherland. People who had come many miles to visit the event as well as people who had just finished their Saturday gym session at Kelvin Hall and did not want to miss the opportunity to see Beano no.1. We even got two gentlemen both called Mr Thomson from D C Thomson coming along to see what we were doing. Mr & Mr Thomson were asked by one of our more senior visitors why they had stopped publishing his favourite childhood reading The Magic Comic in 1941. Mr Thomson replied that it was closed down as a result of paper rationing during the Second World War which also led to the Beano and Dandy being published on alternative weeks for a few years. It quickly become clear the day was going to be a big success. The prank workshop run by Glasgow Life was such a success it had to close for an hour so they could restock with prank making materials. The fart listening post was a roaring success. Lots of people came to an animation workshop run by the Library. We were especially pleased that many people choose to stay for a while and see our other collections at Kelvin Hall. The National Library of Scotland at Kelvin Hall is home to the national collection of moving images and you can view thousands of films relating to Scotland here, many of the films are also available to view on our website. In the Discovery space at Kelvin Hall you can find out more about Scotland in the 20th century, the history of film and filmmaking in Scotland as well as see selected items from our printed collections. You can also access our growing digital collections and eResources. As the focus is on film the first thing you see when you come into the Library is our giant 12 screen video wall where that day we showed images from Beano no.1 and an episode of Dennis & Gnasher: Unleashed! Usually it plays historic clips of Scotland. We had over 800 visitors, 700 of whom were first time visitors and we look forward to welcoming them back to further explore out collections. Beano no.1 is now safely back with our other treasures such as the Gutenberg Bible and the First Folio of Shakespeare in our Edinburgh building where it and many other D C Thomson publications can be consulted. The original artwork has been returned to D C Thomson in Dundee and the fart noises have been replaced by accounts of new town life on our mobile listening post for an event we are doing at this year’s Edinburgh Book Festival. Thanks to everyone that came along, we hope you had as good a time as we did. Thanks to Glasgow Life, Beano Studios and D C Thomson & Co Ltd and our fantastic team at Kelvin Hall and all the many other people at the Library who helped with the event. It is a little while until the Beano has another significant birthday but in just over a year it reaches issue no.4000. We might have to get our copy of Beano no.1 out again to celebrate. 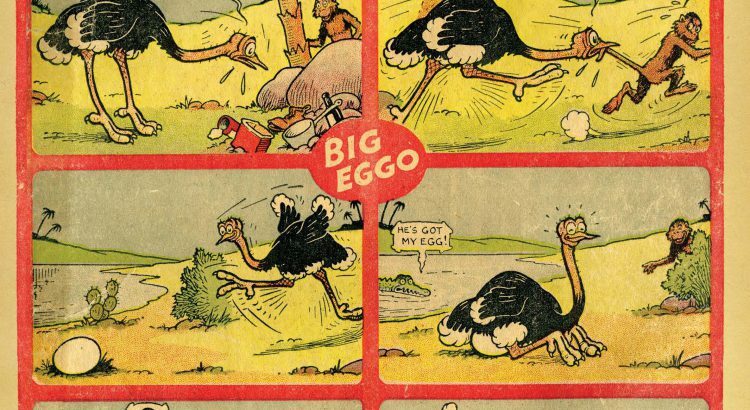 The publication that brought us Dennis the Menace, Minnie the Minx, Bash Street Kids, Lord Snooty and Rodger the Dodger and has now entertained many generations deserves a celebration or two.